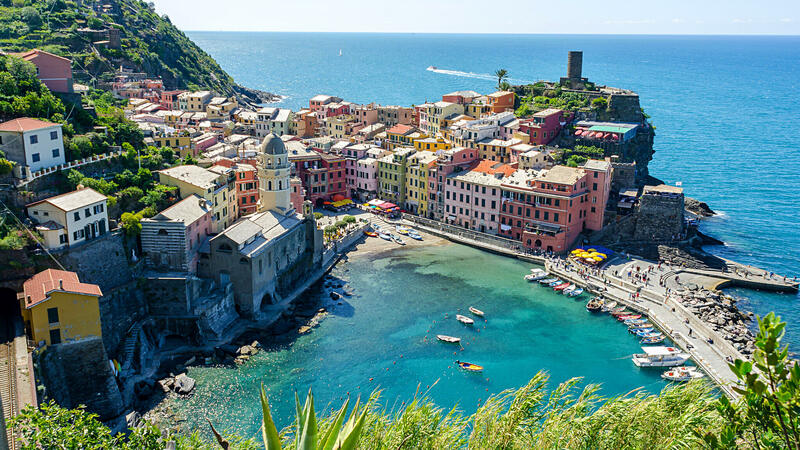 The aura of isolation that has surrounded the 5 Ligurian coastal villages known as the Cinque Terre have became one of the Italian Riviera’s premier attractions. 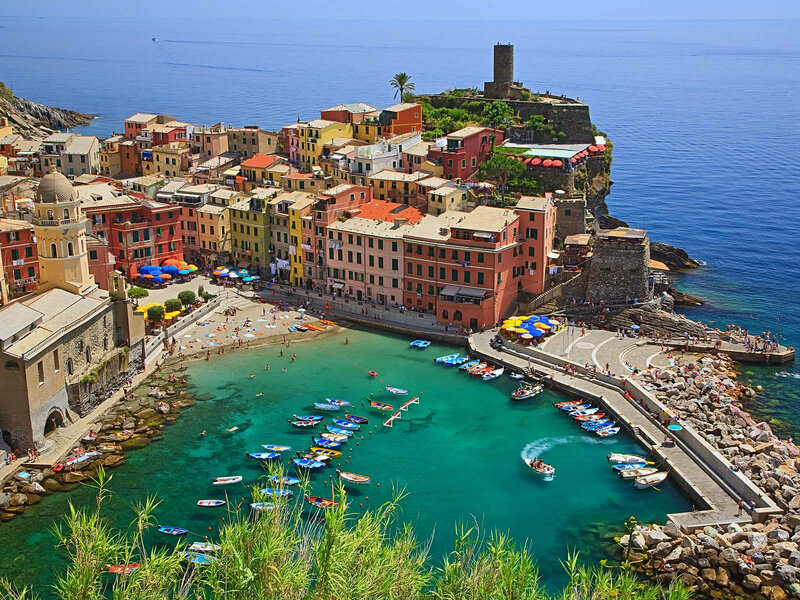 The villages are Rio Maggiore, Manarola, Corniglia, Vernazza and Monterosso al Mare. Together with their amazing coastal scenery they are really unique places to see. Visiting the “Cinque Terre” means a visit to five fisherman villages squeezed between sea and earth. These villages are placed on cliffs overlooking the sea and surrounded by vineyards and olive groves. Visiting the Cinque Terre means a visit to five separately unique villages. In Rio Maggiore there is the famous “Path of Love”. It is a steep path which begins above the sea and actually connects the town to Manarola. 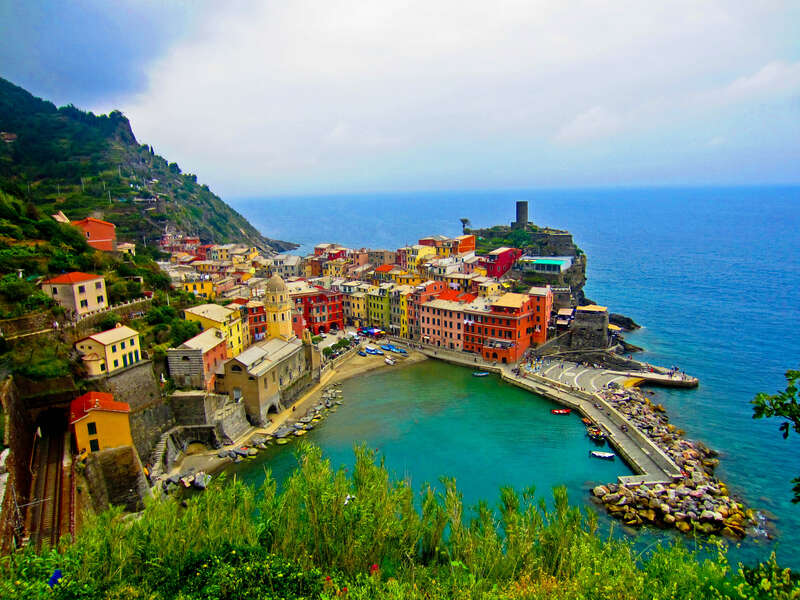 Manarola was founded in the 13th century and is named after a small temple built during the Roman age. Here, houses are located by the sea and the city is well-known for its life-size Nativity scene. Corniglia is known for its beautiful terraced vineyards and the church that Saint Peter built in 1300. Vernazza is a uniquely shaped port and noted for the Sanctuary of Our Lady of Reggio, the towers of Belforte and Torrione and the Church of Santa Margherita d’Antiochia. Monterrosso al Mare is probably the most contemporary of all and we cannot miss the famous sculpture of the Gigante (the Giant) set on the beach.